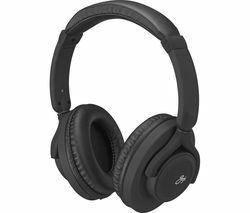 At Currys, we offer a wide selection of Goji headphones so you can find a pair that best suits you. 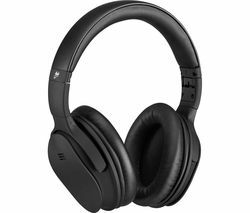 Goji headphones are something special in the home audio market, a premium quality product with a good, solid feel and many high-end design features at a surprisingly low price point. Many feature leather-look ear pads and accents, aluminium topped cups and quality more commonly associated with £100+ sets, but at nowhere near the cost. Our line of Goji headphones is extensive, including small Goji in-ear headphones, larger on-ear sets and wireless Bluetooth models which have all of the features you would expect from a much more expensive unit, including integrated volume, pause/play and track selection controls. Wireless Bluetooth-enabled headphone sets are where Goji headphones really shine. Their durable aluminium structure and high-end finish and design allow for excellent battery life, and their large heavy magnets make sure you get the full bass experience from your music. Take a look at our entire range of headphones, there’s something for everyone, no matter what your tastes or how stringent your technical requirements.